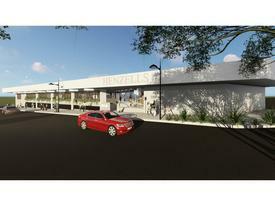 84 Commercial Real Estate & Properties in Caloundra are listed in 8 categories. We have 41 OfficesSale & Lease , 26 Retail ShopsSale & Lease , 6 Development LandsSale & Lease , 6 Hotels and LeisureSale & Lease , 3 Industrial Warehouses Sale & Lease and 2 ShowroomsSale & Lease . 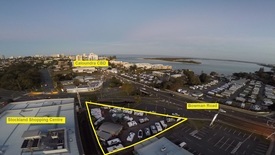 Situated on the main thoroughfare leading into Caloundra and backing onto Stockland Caloundra Shopping Centre, this site is positioned in one of the most high profile locations on the coast. Having served Sunseeker Caravans well the site has allowed the business to grow and expand into a new premises and now the opportunity is available for a new tenant to take over. With compact hardstand, secure entry fencing and a transportable office situated on site, the block is ready and available for a new operator. For any enquiries please contact Jordan Hayes on 0417 999 331 or Michael Shadforth on 0488 981 076. Professional Office - Main Street Frontage In Caloundra For Lease: $23,000pa + Ou..
New Commercial Space $13,000 P/A + Outg..
Henzells Plaza - New Commerical Space $11,500 P/A + Outg..
Henzells Plaza New Commercial Space $11,750 P/A + Outg..
New Commerical Space - Henzells Plaza $20,400 P/A + Outg..
New Commerical Space - Henzells Plaza $9,900 P/A + Outgo..
Refurbised Henzells Plaza Lease Opportunities FROM $9,900 P/A + .. 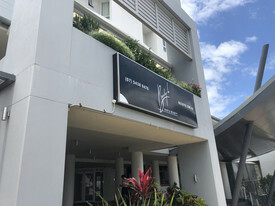 Affordable Ground Floor Space $6,000 P/A + Outgo..
Office/retail Low Per Annum Rent $12,500 P/A + Outg.. Affordable Commercial/retail Space FROM $12,000 P/A +..
Retail/office - Main Road Location $33,000 P/A + Outg..
Restaurant/bar - Prominent Location $60,000 P/A + Outg..
Price Reduced By $10,000 Per Annum $35,600 P/A + Outg..
Refurbished Commercial Space Caloundra Cbd From $220 P/SQM + .. 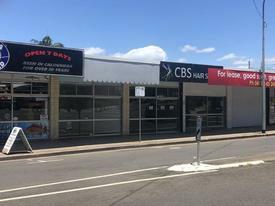 Affordable Food Outlet/commercial Space $10,000 P/A + Outg..
A prominent CBD site located close to shopping centres, beaches, cinema and Bulcock Street's retail strip making it highly desirable for permanent living or for business use. It could be ideally suited to a townhouse development or mixed use development with a commercial component on ground level and units above. Rectangular CBD allotment Adjoins a major potential development site Previously utilised as a specialist medical practice Close proximity to Caloundra Shopping Village Land Area: 607m2 Zoning: Major Centre Zone Height Limit: 14 metres For Sale: Submit All Offers For more information or to arrange an inspection please contact Marketing Agents: Len Greedy 0401 691 807 Len.greedy@raywhite.com Alan Gray 0414 894 084 Alan.gray@raywhite.com Approx.